I love old movies. The sappier the better. 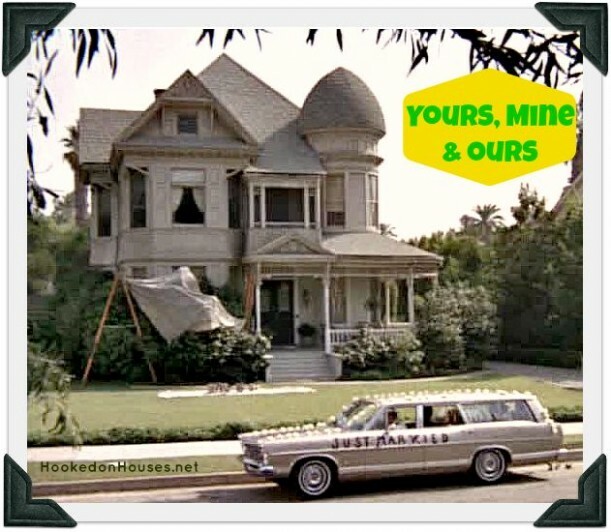 In the 1968 gem “Yours, Mine and Ours” starring Lucille Ball and Henry Fonda, a widower with ten children marries a widow with eight children. Yours and mine are clearly defined, but then they have a biological child together. The new child is a clearly defined ours. The same year gave us Doris Day (queen of Hollywood schmalz) in “With Six You Get Eggroll” which had a similar premise. Then came The Brady Bunch. Remarriage and blended families ala Hollywood: two single parents meet, conflicts arise, no one likes each other, then suddenly (after some campy skirmishes) they all love each other and live happily ever after. Phew! Of course, this is Hollywood. But I so love storybook endings. Not everything that’s his is mine, not everything that’s mine is his, and we’re not quite sure what’s ours. I will share three major Nots here, though there are many more. I don’t want to be too negative. In Part Two of this series, I promise to be positive. The children. They are all grown, so they are not under our roof. Clearly, this is not a Brady Bunch situation. And clearly at 50+, we are not expecting (pun intended!) to have an ours. Mike’s three children came to our wedding. I was glad. It showed some kind of support and perhaps love. Only one of my three children came to our wedding – my daughter. So with six you only get a bite of eggroll, in my case. My previous post explained how my daughter and I grew closer together as the ‘widow and orphan’. She grieved with me throughout my separation and divorce. She was thrilled when I met Mike. Not only did she attend our wedding, she was my Matron of Honor. It was clear why my sons were not present and I was not offended by their absence. I just missed them. I would have liked for them to share in my joy. How could they? It is totally weird to watch your mother marry another man who is not your father. Understood. I could never imagine my parents splitting and taking other spouses. Yuck. Our collective children really don’t know each other. We don’t all have dinner together and we’re not sure if there will ever be a scenario where there’s fluid unstrained conversation between our children. His are in Ohio. Mine are in California, North Carolina and Indiana. We hardly see the out-of-state ones. It’s hard to get to know his children. They only text, sporadically. His. Mine. Not ours. The stuff. When we met, Mike had a house in Ohio, and I had the Storybook House in Indiana. We had to decide which one to keep and make ours. I didn’t want to sell my house, but I did put it up for sale because I took a marriage vow that said ‘whither thou goest I will go, whither thou lodgest I will lodge‘! Mike was working in Ohio, so that’s where I had to be. Unfortunately, he lost his job nine months after we were married. Fortunately, we kept my house and Mike moved into the Storybook House. And I still call it my house, a hard habit to break. God worked out the home situation to my advantage. Beside the stress involved with relocating, there are other problems when you both own stuff attained in a previous marriage or before you met. You have to factor in death and inheritance and that sort of thing. This post is going from negative to morbid, but let’s be realistic. Who gets the stuff when I die? How do you divvy up the goods in a second marriage? My stuff. His stuff. Not ours. His kids. My kids. Let’s buy new stuff and call it ours. History. We don’t share a history together. We’re in our 50s and a big chunk of life is behind us. Confession: I envy couples that have been in long faithful marriages. They share children, a long history, have the same memories, and gather together at holiday time. Of course no marriage is perfect. No family is without conflict. In spite of imperfection, I admire those couples. Secondly, I get a bit jealous when Mike speaks of a past memory. I wasn’t there. Other people were. Mike has been so many places, having served in the Navy for six years and worked in the nuclear industry for over twenty years. I wasn’t with him then. Other people were. Thirdly, holidays are weird the second time around. Who’s coming over? His kids or mine? They’d be awkward together. Last Christmas, I got depressed. How was I to decorate our tree? Just looking at ornaments my children made in grade school got me bawling. I treasure these ornaments. While they give me great joy in remembering those days, they also remind me of my broken family. They hold no meaning for Mike. 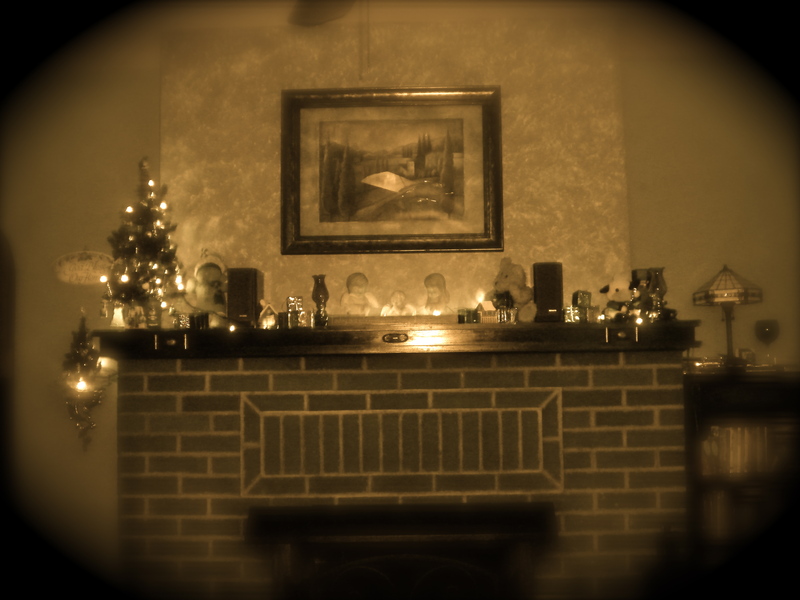 They are my ornaments, my history, my ghosts of Christmas past. While I never want to go back to lonely holidays, they can still bring sorrow if I let the past mar my joy. Christmas 2013 at the Storybook House. My ghosts of Christmas past paid me a visit. There they are: three big NOTS – things Mike and I can’t call ours. Getting back to old movies, old stuff and old crooners, Frank Sinatra sang, ‘love is lovelier the second time around‘. Shalimar agreed in 1979 (the year my first marriage began), in fact they said the second time around is better than the first time. Yes, I think the second time is lovelier. Better. Sweeter. I’ll tell you all about that in my next post, The Second Time Around: Yours, Mine and Ours…Yes! (Part Two). In the meantime, put up your feet and watch an old sappy movie. May I suggest “Yours, Mine and Ours”?